Jaisalmer, with its grandeur and beauty, holds a special place in the history. The heart of the Thar Desert, Jaisalmer has attracted travellers to its wind-swept sand dunes and forts since a thousand years. Regarded as the ‘Golden City’ of India, Jaisalmer gained prominence as a post on the legendary Silk Route, and became famous for the hospitality of its people. Fort Rajwada is proud to carry forward this legacy of hospitality of Jaisalmer. 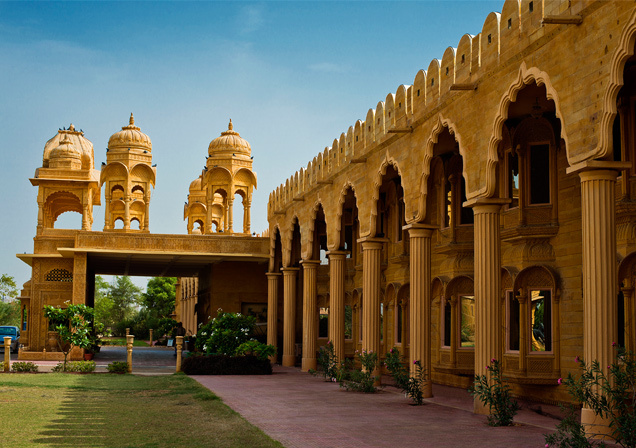 A luxury hotel with 90 rooms, 4 mini suites and 5 suites, Fort Rajwada offers an unparalleled opportunity to experience Jaisalmer and the Thar Desert. An oasis of exclusive tranquillity five minutes away from the Jaisalmer fort, Fort Rajwada welcomes you to experience the way of life of the Rajputana royalty. 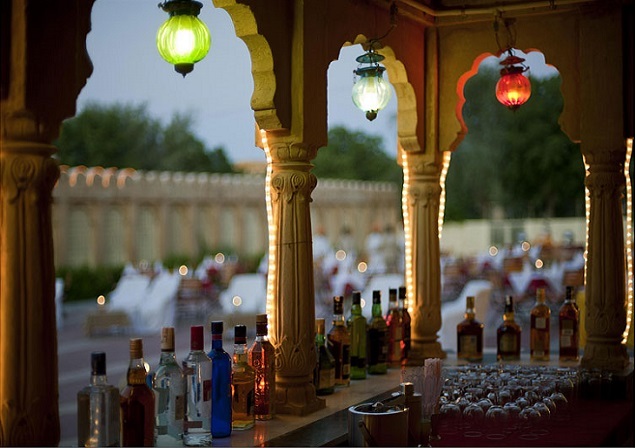 Imagine awakening in the lap of luxury for which Rajasthan royalty is famous for. Whether you are discovering the history of Rajasthan, relaxing in the tranquil solitude of the desert, or embarking on an adventurous desert experience, Fort Rajwada offers a blend of the modern and the classical. Inspired by the soothing shades of sandstone, and the cultural splendour the erstwhile kings of Rajputana were famous for, Fort Rajwada ensures a majestic experience to its guests. 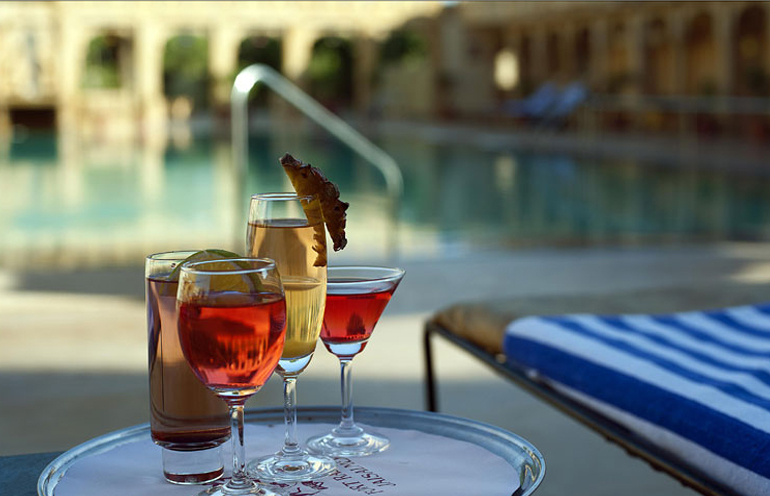 Pool-Side barbeque give our patrons an opportunity to savour local "Shahi" (Royal) Kebabs while the rooftop Sunset Bar promises you the luxury of watching the sun set behind the exquisite Jaisalmer Fort while sipping on choice of exotic drinks. Jaisalmer is located in western part of the Rajasthan state of India. The heart of the Thar Desert, Jaisalmer has attracted travellers to its wind-swept sand dunes, fort, palaces and Jain Temples since a thousand years. The Jaisalmer sand dunes have shaped the melodies of the desert tribes inhabiting the Thar since scores of generations. The tranquillity you will feel on the cold desert sand and a clear night sky will bring you closer to yourself and your loved ones. 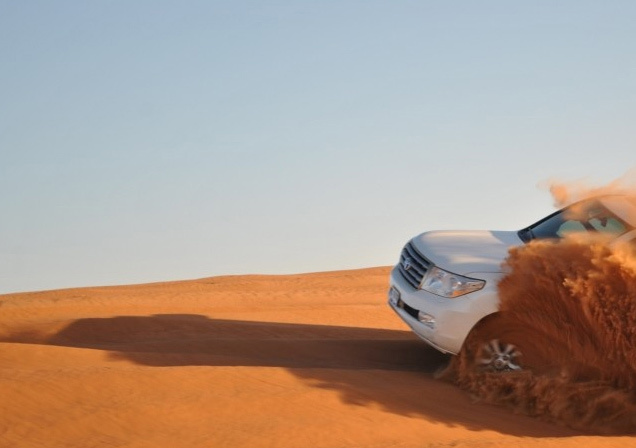 Apart from the history buffs, Jaisalmer also offers opportunities for the adventurers and travellers.